Our website (trackingshipment.net) is not affiliated with Couriers Please. Please be advised that Couriers Please - tracking service has just been added to our service, and we haven't enough time to collect a lot of information about popular questions. At the moment all results are being represented without our correction. You can ask any question about it; we will find an answer to it. We will make an FAQ in the short time. How to Track My Couriers Please Parcel? 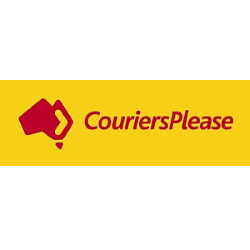 Couriers Please is the leading parcel delivery service, placed in Australia. This company was established in 1983 with the aim to cater for Australians, using owned fleet of couriers. Nowadays, this delivery company is the expert in the matter of parcel delivery. It covers all districts of Australia, allowing people to send each other various delivery items. Besides, recently the company created new International and Domestic Air Services, allowing citizens of this country not only send packages countrywide but abroad as well. This organization is the owned subsidiary of SingPost – a leading company, offering eCommerce services in Asia Pacific and USA. Those customers, who frequently employ with the facilities of this particular company, can control the delivery process in the online mode using Couriers Please Tracking service. To make use of Couriers Please track system, you need to know your tracking code. Recently the company created Pick Own Parcel Station Product. With this service, all customers of this company can collect their delivery items at their own convenience. Launching its services, the company listened to the requirements of the customers and created a number of simple delivery solutions within the country and abroad. Besides, nowadays this express company is regarded as one of the best ones and the one, which offers the best prices. Its spectrum of services is really very extensive, offering the customers of this company a good choice. • Australian City Express. This category offers Overnight or Sameday service. If you need to ship something urgently, this service is at your disposal. • Domestic. The company offers plenty of solutions to deliver something within the country. Besides, all customers can employ with Couriers Please Track Service free of charge. • International. To provide the highest quality courier service, the company delivers your packages in the USA, UK, UZ, China, Europe and many other countries. • Couriers Please Tracking Service. You can find it either on the official website of the organization or using a request “Couriers Please Track and Trace”. Independently of the type of services you select, with this company you will never overpay and be sure that your parcel will be shipped on time and to the right destination. How to Monitor My Order? If you decided to deliver your parcel via this particular company, you should know how to trace your package. K2track proposes you an exceptional opportunity to do this. Our service is available for you and all other customers of this express company round-the-clock. All you need is to type in your Couriers Please tracking number and online you will observe the precise location of your package. Our site comprises the links to all leading express companies. So, if you are waiting for several packages, delivered by various companies, our portal allows you to trace them easily.